Over the last six years, the Green & Healthy Schools Academy has provided support to help schools improve the health and safety of the physical environments in which their students learn and staff work: indoor air quality, cleaning practices, access to safe drinking water, and the like. We are one of several service providers in the Pittsburgh region working with schools on issues such as nutrition, school gardens, obesity prevention, asthma management, and mindfulness. Recently, we have come to realize that while all of these concerns are important and merit attention, the approach of “going down the list” and “checking the box” for each issue is insufficient for triggering deep, systems-level change. The whole of health is greater than the sum of its parts, and we must view our children as whole people and not a series of physical, social, and emotional deficits. For most of us, this type of systems-level thinking is difficult. But it is the only way we will be able to fully embrace holistic health and well-being, and make the connection that educational success and student health and well-being are part and parcel of the same goal. Full disclosure: I am a parent of two kids, ages four and five. What I share with you herein is based as much on my experience as a parent as it is on my experience as a professional working with the education sector. And I think that is probably the best place to begin. As a parent, I strive to create an environment and lifestyle for my children that allows them to be physically well, intellectually curious, socially adjusted, and emotionally confident and resilient. Why? Because I believe this is how I express my love and desire for them to be happy, healthy, and excited about what life has in store. I would posit that this holds true for many other parents as well. My colleague at the Green Building Alliance, Jenna Cramer, put it best when she said, “Our ability to get to a better, brighter, happier, just, and thriving future is dependent upon loving all of our children, loving each other, and of course, loving ourselves.” If what we want for our children is love, health, happiness, and curiosity, should these same aspirations also underlie our education system? Should our school buildings, classroom lessons, breakfasts and lunches, and the way we treat our most precious and valued assets be a demonstration of love for our children and our desire for them to be happy and thrive in life? For this to be true, it requires all of us to deeply value child health and well-being as a central tenet in our decisions for how we allocate our time, money, and effort. It is particularly important for our public institutions, such as schools, to embed this belief into their policies, practices, and culture. We cannot afford to think about our education system as being divorced from the health and well-being of our children and our communities. Schools should not exist solely to impart content knowledge in our young people; they must also foster character development and emotional intelligence to enable our children to become kind and empathetic, not just smart. I know many educators who love and care for their students as if they were their own children, and I genuinely believe that most of them do. But that in and of itself is not enough. To fulfill our commitment, all levels and corners of our education system, from the state departments of education to the local school boards, to the principals, custodians, security staff, food service workers, and bus drivers – the proverbial village – must demonstrate their love and honor for our children. So how do we get there, and what can we use to help us think about holistic health and well-being? Thankfully, this is not a new idea, and a number of dedicated organizations and communities have been experimenting with different approaches and strategies. This work has materialized in a wide array of frameworks that are taking a systemic approach to catalyzing this paradigm shift. The two most recognized frameworks are Full-Service Community Schools and Whole School, Whole Community, Whole Child (WSCC). They share similar goals and outcomes, namely to create holistic approaches to fostering well-being in schools, offer robust and relevant learning opportunities, and strengthen relationships with parents, caretakers, and community organizations. Each framework has a different origin, but their genesis is the result of the deep-rooted motivations and desires of the stakeholder groups from which they emerged. The Full-Service Community Schools model emerged from the desire of community groups to partner with their schools in fulfilling the basic needs of children as a means of helping them to succeed in education. Championed by the Institute for Educational Leadership (IEL), Full-Service Community Schools is based on three tenets: powerful learning, integrated health and social support, and authentic family and community engagement. The community schools movement is seeing significant increases in its adoption, recently measured at over 7500 schools utilizing some form of it. And this model has seen some great results. As described in a 2013 IEL report, students at community schools felt their school environments were more supportive than those at non-community schools; students at successful community schools greatly outperformed their peers in math and reading, and the social return on investment in community schools was found to be over 1000%. 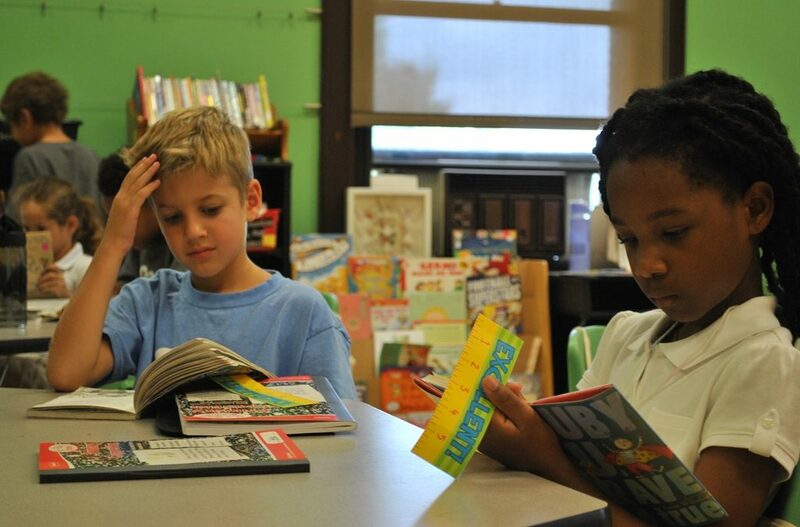 Learn more about Full-Service Community Schools here. The WSCC model updates and reframes the Centers for Disease Control & Prevention’s Coordinated School Health Program, which dates back to the 1980s. 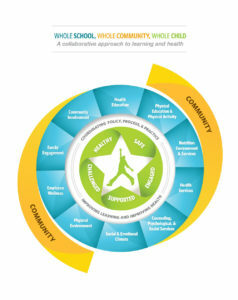 ASCD, formerly known as the Association for Supervision and Curriculum Development, picked up and adapted the Coordinated School Health framework because they recognized that if schools truly want students to succeed academically, they cannot simply focus on curricular interventions and academic rigor. Grounded in curricular and professional development best practices, ASCD developed the WSCC model to speak to the need for schools to embrace student and staff health and well-being as prerequisites for effective learning. WSCC lays out ten components of integrated school health: health education, social and emotional climate, counseling/psychological services, community involvement, family engagement, employee wellness, physical environment, health services, nutrition, and physical activity. Since the WSCC model was released in 2014, there are no longitudinal results to report on yet. However, participating schools have been taking many small but important steps towards a whole child mindset, and have received very positive feedback from students, educators, and community members. Look out for more long-term results in the years to come. Learn more about WSCC here. Schools must be truly student-centered: Schools and districts often tout that they are student-centered, but it is easier said than done. Schools have evolved to respond to the many forces they are subjected to: budgets, taxpayer sentiments, state and federal regulations, academic standards, national trends, vendors, and unions. These have often resulted in decision-making and priority-setting that, oddly enough, has pushed student well-being and success farther down the list. Putting children at the center of the education system requires that each decision be evaluated for its short- and long-term effects on children. Creating this mindset requires schools to be introspective and willing to make deep, systems-level changes in how they function and make decisions. It is challenging to make this scale of change, but it truly is where the magic happens. Schools need to be hubs for social services: If students are hungry, homeless, chronically ill, chronically absent, or have been exposed to adverse childhood experiences, their ability to focus and perform well in school is greatly diminished. As much as schools and districts would like to focus exclusively on education and relegate social services to government agencies and nonprofits, they can have a dramatic impact on student well-being and academic performance by bringing these services into the school and making them accessible for students and families. 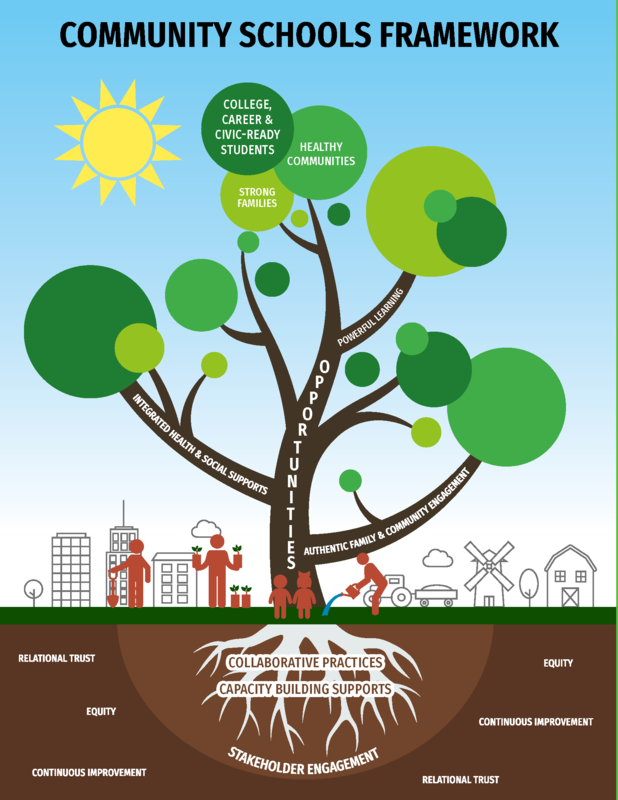 Schools and communities need each other: Schools and the communities they serve must have a symbiotic relationship for both to thrive; their fates are intertwined. Relationships and trust are foundational to creating meaningful and impactful partnerships, and require deep listening, humility, and patience to create them. Health and well-being must be integral to school improvement: Schools that are on school improvement plans most likely have physical and socioemotional student health challenges, which are not going to be solved through purely curricular approaches. Holistic health goals must be fully embedded in school improvement plans for these important issues to get the attention and resources necessary to eliminate them as barriers to student success. Both the Full-Service Community Schools and WSCC frameworks have been most successful within schools and districts that have invested time, effort, and resources in leadership development, data collection, and authentic community engagement. We truly hope that all schools will adopt student health and well-being as a central priority, either through one of the models described above or through a customized approach that is best suited for that particular school. This work is by no means easy; it takes real effort and some significant rethinking of our traditional priorities. It can also be uncharted territory for many schools, which can make administrators feel vulnerable. In the end, we must realize that no one has all the answers, and that it is going to take true partnership, humility, and courage to make schools places where our children can be healthy, happy, and thriving. Andrew Elsworth is Vice President of Health and Learning at the Green Building Alliance (GBA), based in Pittsburgh, Pennsylvania. Andrew directs GBA’s health and learning efforts through both the Green & Healthy Schools Academy and GBA-delivered education programming. He promotes pertinent issues and safer school environments for both children and adults. Through the coordination of resources and education programs for schools and school districts, Andrew helps them and their regional stakeholders understand and implement policies and practices designed to improve environmental health. Andrew holds a Bachelor of Architecture degree from Carnegie Mellon University, with a minor in Business Administration.